The largest family of flowering plants in the Himalayan hotspot is the Orchidaceae; at least 750 species have been reported, many endemic to the region. 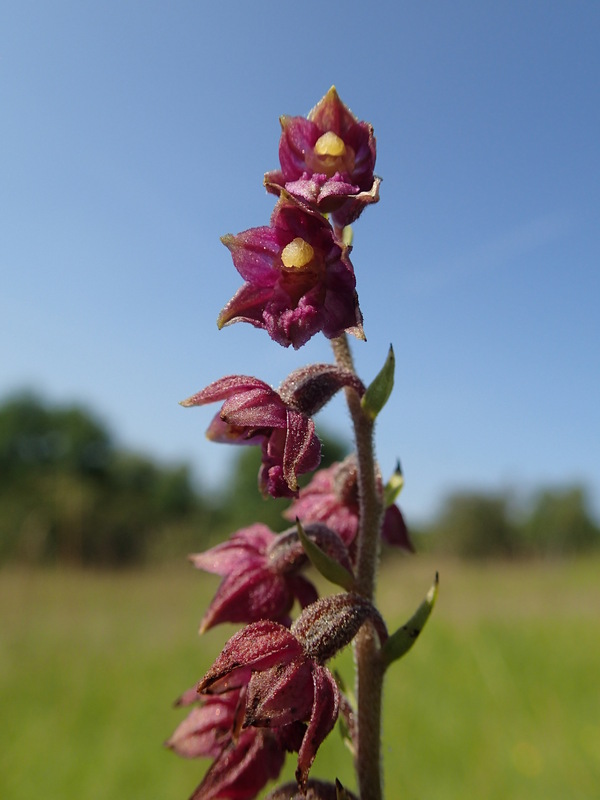 They belong to more than 150 different genera, including many such as Phalenopsis and Dendrobium familiar to those of us who grow tropical orchids at home as well as Orchis, Cypripedium, and Epipactis which have species amongst the UK’s native orchids. The greatest diversity of orchids is further East than we will be travelling this time, in Uttarakhand, but there should still be plenty to see, apart from our old friend Himalayan balsam (Impatiens glandulifera), sometimes described as Poor Man’s orchid. 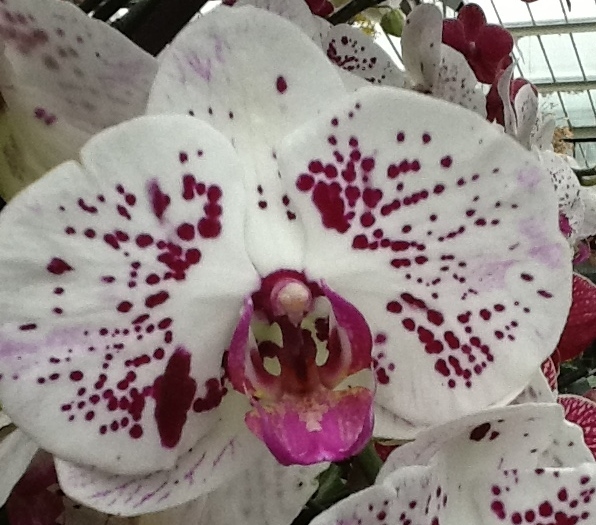 Orchids are amazing plants, much prized for their stunning flowers. They are monocots, like the grasses, and typically have bilaterally symmetrical flowers with one petal modified and enlarged into a definite lip or labellum. This may be adapted in a variety of ways to attract, and provide a landing platform for, pollinating insects. The ovary, in which the unusually-tiny seeds will develop, is described as inferior because it lies underneath the rest of the flower. 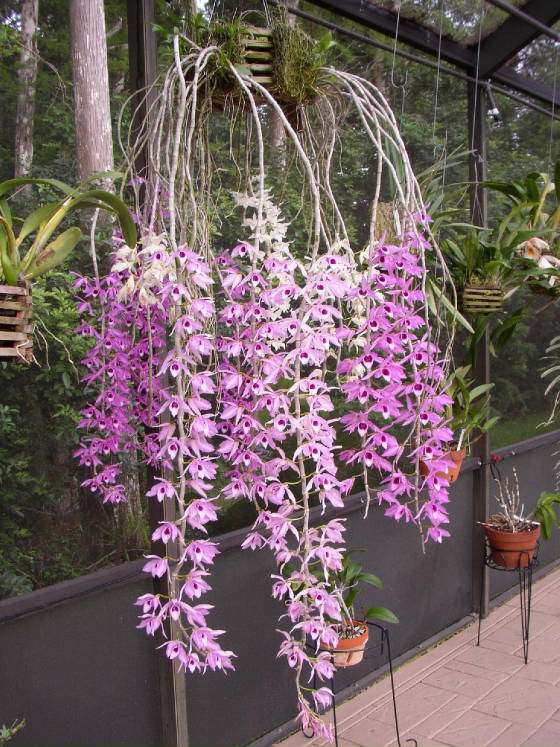 Many orchids, such as Dendrobium, are epiphytes, making their home on the surface of other plants and obtaining nutrients from animal droppings and other organic matter trapped there. They have long aerial roots to obtain the water they need and often have pseudobulbs – thickenings of the stem which store nutrients and water for drier periods. Orchids have a number of features which make them botanically interesting, quite apart from the beauty of their flowers. One is that the seeds are so tiny they have no endosperm – the starch-rich component of most seeds which provides nutrition for the growing embryo as the seed starts to germinate. As a result of this, the seeds will not grow unless they can enter into partnership with the correct mycorrhizal soil fungus to supply the necessary nutrients. This means the chances of any individual seed growing is tiny, and germination in cultivation is slow and tricky. Why would orchids choose such an apparently hit-and-miss method of propagation? Another odd feature of orchids is that most invest a huge amount of energy in producing showy flowers to deceive insects into pollinating them, rather than providing the standard nectar reward. Darwin was one of the first people to describe orchids’ highly specialized pollination systems in his 1862 book, Fertilisation of Orchids. These usually depend on an interaction between a specific insect and the flower, reducing the chances of pollination significantly. To combat this, the flowers tend to be unusually long-lived – an attractive feature for horticulturalists. They also often carry their pollen in pollinia – waxy masses of pollen held on a sticky pad or viscidium which sticks the pollinium to the body of a pollinating insect. At least this way a single pollinating insect can carry away enough pollen to make sure it is successful in pollinating the next flower suitable flower it lands on. In the absence of nectar, many orchids depend on the appearance of the labellum to attract pollinators. 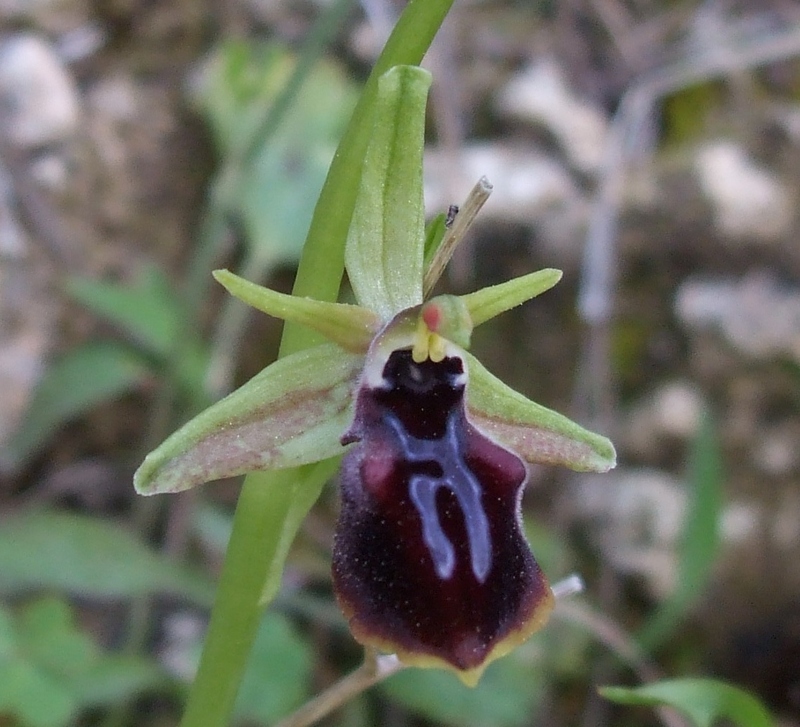 In bee and spider orchids, this is taken to the extreme – the labellum mimics the shape, colour and odour of a receptive female and pollen transfer occurs as the poor male tries to mate with the flowers. 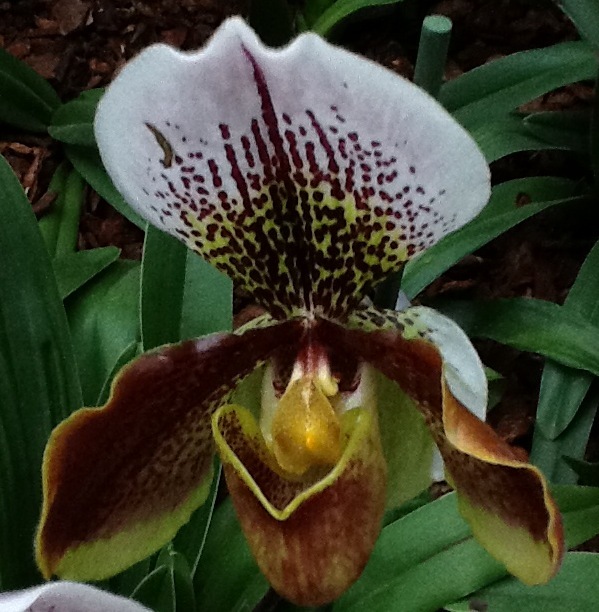 Other orchids, like many other flowers, use volatile organic compounds to attract their pollinators. Some species, such as Cypripedium (Lady’s-slipper orchids), depend on trapping visiting insects in the modified labellum and only allowing them to exit by brushing past pollen-bearing anthers. Orchids have been around for a long time – maybe up to 100 million years – and there is also evidence for their coevolution with pollinating insects over many millennia. Insects carrying orchid pollen have been found in amber some 15-20 million years old, which helps to explain their ubiquity. So what are these plants that are unique to the Himalayas? According to many internet sources (e.g. the website of the Critical Ecosystem Partnership Fund, http://www.cepf.net) there are five plant families endemic to the region; the Tetracentraceae, Hamamelidaceae, Circaesteraceae, Butomaceae and Stachyuraceae. But, though this information is repeated widely, it is not quite right…. The smallest family mentioned, the Butomaceae, comprises just one species – the aquatic Butomus umbellatus or flowering rush. This is hardly endemic to the Himalayas; it is native to the UK as well as the Himalayas (see Francis Rose’s The Wild Flower Key), and a swathe of areas between. In fact, Butomus illustrates well how a plant may be endangered in parts of its range but a nuisance in others. 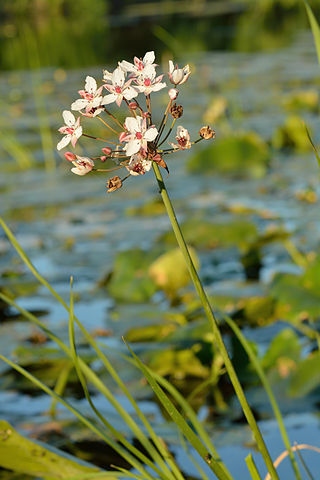 Introduced in North America as an ornamental, it is now an invasive weed in the some of the Great Lakes. The other four families described as endemic, apart from the Hamamelidaceae, are also very small, containing just a handful of species. Not all of these are found in the parts of Kashmir and Ladakh which we will be visiting, either. The Tetracentraceae comprises just two living tree species; Tetracentron sinense (from southern China and the eastern Himalayas) and Trochodendron aralioides (from Japan), known as the cartwheel tree. Again, the family as a whole could hardly be described as Himalayan endemics! The interesting thing for a botanist about these species is that they lack the efficient, water-transporting vessel elements in their xylem tissue which typify most angiosperms. More unusually, this feature seems to have evolved as a secondary character, rather being an indication of the primitive status of the family, as previously thought. 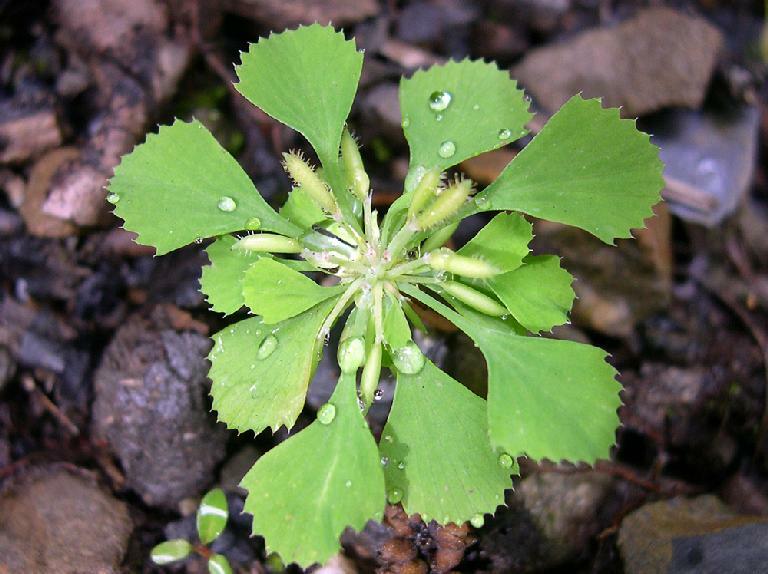 The Hamamelidaceae is a much larger family of around 30 genera and 232 species (www.theplantlist.org) but only a few of these occur naturally in the Himalayas. 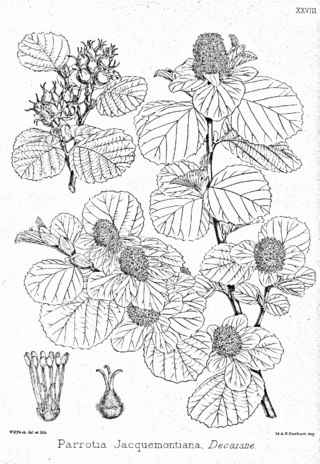 Also shrubs and trees, the Hamamelidaceae may be more familiar as Witch-hazels, named for their pliable twigs (from the Middle English wiche). The twigs of Parrotiopsis jacquemontiana, found in the western Himalayas at altitudes between 1200 and 2800 m, are traditionally used for both rope and basket-making. There seems less difficulty in describing the final two families as being endemic to the Himalayas, or at least the broad region. 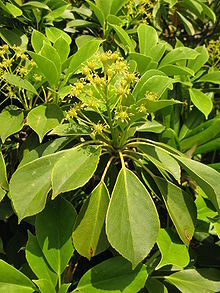 The Circaesteraceae is a family of flowering herbs containing just two species, Circaeaster agrestis and Kingdonia uniflora. Only C. agrestis is found in the northwest Himalayas; a shade plant of forests and wet grasslands, it can survive at altitudes of up to 5000 m.
The last of the five ‘endemic’ families, the Stachyuraceae, has just a single genus, Stachyurus, but a number of species. These are deciduous shrubs and trees with attractive pendent racemes of flowers which appear before the leaves. 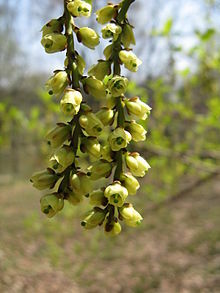 Because of this, Species such as Stachyurus praecox make popular garden plants in the UK. One thing that has become clear very quickly, on researching the flora of the Himalayas, is the lack of clarity over what constitutes an endemic plant family. In addition, there is the much larger question of the reliability of information circulating on the internet in official-looking guises and how often this is taken up and repeated, without thought. Plenty to ponder in subsequent posts…. For botanists, the Himalayas have long been regarded as something of a paradise. One of the world’s ‘biodiversity hotspots’, the region is home to over 3000 endemic species of plant, found naturally nowhere else on Earth. These include five endemic families of plants and more than 70 genera. However a good number of our familiar garden species also have their origins here, which raises two interesting questions; why is the flora so diverse and why have such a wide range of species thrived, once introduced, in other parts of the world? Maybe questions best dealt with separately! 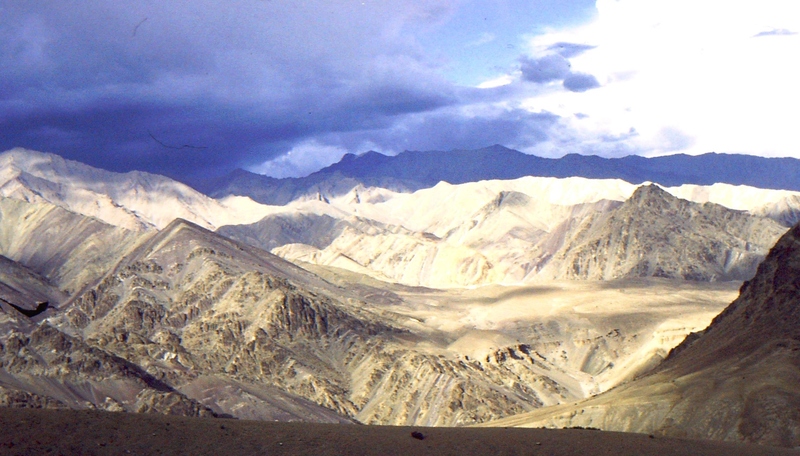 The range of climatic conditions within the region is one important cause of diversity – after all, the Himalayas lie not far north of the Tropic of Cancer but the abrupt rise of the mountains, from less than 500 m, to more than 8000 m, means a wide range of ecosystems exist in close proximity to one another. Alluvial grasslands give way to subtropical and temperate broadleaf forests in the foothills and midhills and these, in turn, are replaced first by coniferous forest and finally by alpine meadows. A few cushion plants can survive even in the harsh permanent rock and ice zone at altitudes of 5500 to 6000 m. Aspect, topography and the diverse underlying geology must also be significant. So where did all these plants come from in the first place? 200 million years ago (Ma), India was part of the super-continent Pangaea. When Pangaea started to break apart, about 165 Ma, the Indian continental plate drifted rapidly northwards, eventually colliding with the Eurasian plate, some 55 Ma ago. The northward drift of the Indian continental plate since 71 Ma. Though the early fossil evidence is patchy, it suggests that ancestors of the flowering plants (angiosperms) first appeared in wet tropical regions of Pangaea over 200 Ma ago; the late Triassic period. Their spread halted during the arid Jurassic period which followed, but angiosperms then diversified rapidly as the climate improved again in the Lower Cretaceous, 90 million years ago – between Pangaea starting to break up and the collision which gave rise to the Himalayas. By 50 Ma ago angiosperm trees were widespread and dominated many environments. They would have been evolving separately on the Indian and Eurasian continental plates for many millions of years, so the collision must have brought together two quite different groups of species. The radiation of herbaceous angiosperms, in contrast, occurred much later, so perhaps not until after the Himalayas started to form. This process of mountain building (the Himalayan orogengy) continues today, with the Himalayas still rising at rates of up to 10 mm per year as the sediments of the Indian plate margin are thrust upwards and folded. This uplift goes hand-in-hand with rapid erosion, both processes resulting in the production of new surfaces which organisms such as lichens are quick to exploit. It means that plants have to adapt, admittedly gradually, to changes in altitude as well as in the topography of their surroundings, with all that means for temperature and availability of light, water and mineral nutrients. The aridity of land at the highest altitudes must also give rise to geographical isolation of populations of plants in adjacent valley bottoms. How important are these factors in driving the appearance of new species?